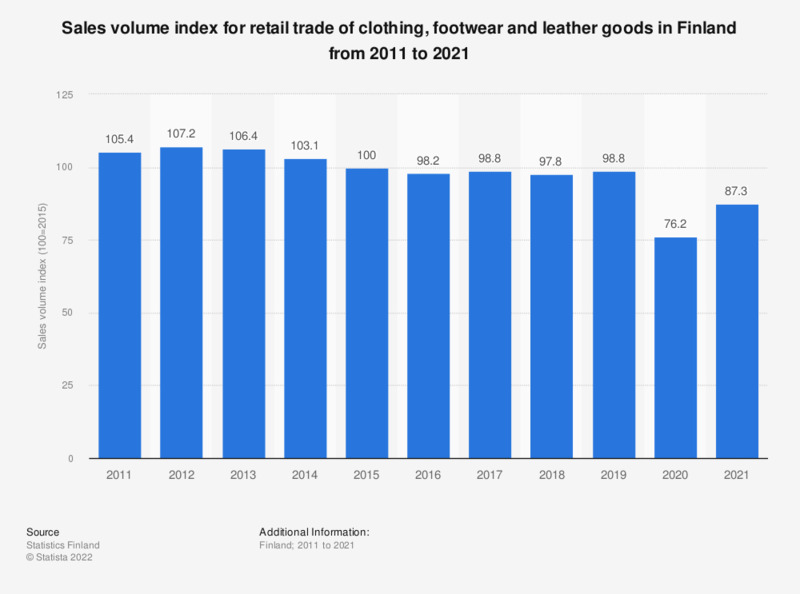 This statistic shows the volume index for retail trade of clothing, footwear and leather goods in Finland from 2006 to 2016. The retail trade volume index of clothing, footwear and leather goods had a steady growth during the given time period, peaking in 2012 with a index point of 104.3. From that year it started to decline and in 2016, the corresponding figure was 95.8. The data shows original indices for total retail trade and is not seasonally or trading day adjusted. Base year: 100 = 2010. Statistics on "Apparel market worldwide"